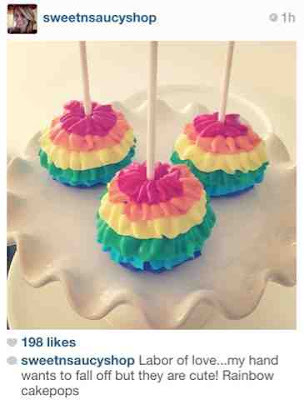 Just how adorable are these rainbow cakepops from Sweet & Saucy Shop. I wish I could just pop into their shop every time I see something new on their Instagram feed. But maybe it's a good thing I don't live closer, or I'd be about 20 pounds heavier (but happier too)!